These classes are structured for up to 9 individuals with one qualified WECC instructor! This 1 hour flying class is held in front of the mirrors on the Grey Stunt Stepper Blocks to best teach the fundamentals of flying. There is no formal evaluation needed to register for this class and all ages are welcome! 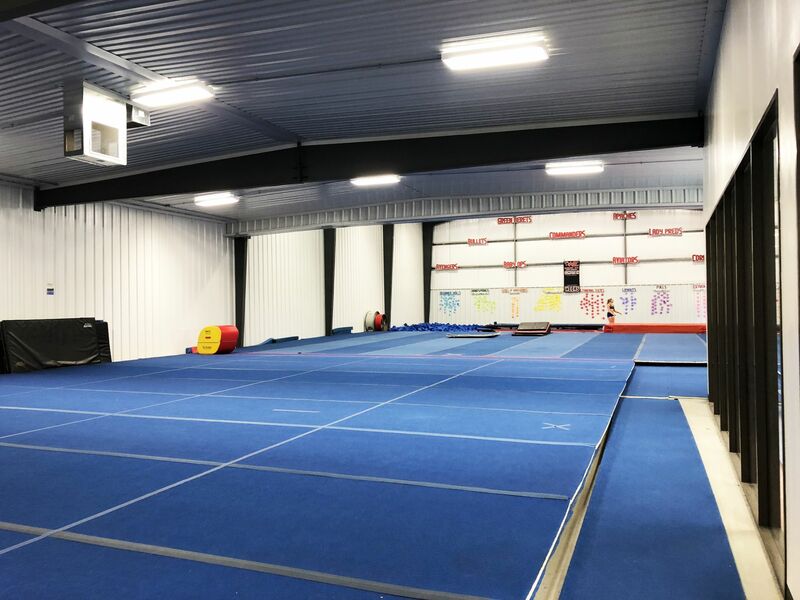 During this class your athlete will work on proper flexibility and stretching exercises, proper body positions for the liberty, scorpion, scale, heel stretch, front stretch, bow-&-arrow, and arabesque! Please see your WECC Front Office to find the correct class time to fit your needs! Ages 6 and up welcome! These classes are structured for up to 6 individuals with one qualified WECC instructor! This 30 minute stretching class will focus on the proper techniques of stretching the right, left, and middle splits, proper back flexibility, and proper shoulder flexibility! Stretching is not only beneficial for jumps and flyer flexibility, but it also reduces the overall risk of injury for athletes in our recreational tumbling classes. There is no formal evaluation needed to register for this class! Please see your WECC front office to find the correct class time to fit your needs! Ages 6 and up welcome! These classes are structured for up to 10 individuals with one qualified WECC instructor! This 1 hour class will focus on proper stretching technique and extensive strength training to complete all the required jump positions! In addition to stretching and conditioning, instructors will train proper arm and leg placement to perform each jump successfully and correctly. The following jumps will be trained, Toe Touch, Pike Jump, Hurdlers, Combination Jumps, and Jumps into Tumbling. There is no formal evaluation needed to register for this class! Please see your WECC front office to find the correct class time to fit your needs! Ages 6 and up welcome! These classes are structured for up to 4 individuals with two qualified WECC instructors. In this 1 hour class each participant will master the progression of flying skills until they can be executed safely and properly. Athletes will work on the proper body positions as well as level appropriate load ins and dismounts. There is a formal evaluation required to sign up for this class however all levels and ages are welcome! All participants must have a STRONG WILLINGNESS to be put in the air to attend. Coed Stunt evaluation times are listed below! Ages 6 and up welcome.